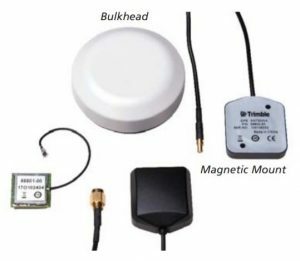 Trimble provides a variety of antenna styles and types to suit the most varied applications. All include a low-noise amplifier (LNA) to provide sensitive performance in the toughest environments (40° to +85° C with high humidity). And all feature famous Trimble quality and reliability gained from nearly two decades of supplying GPS antennas for commercial and military requirements.